To learn more call 513-528-5674, email sales@LNSamerica.com, or visit www.LNS-america.com. Bar Feeding Systems Work Holding Systems Coolant Management Systems Chip Management Systems Air Filtration Systems CHOOSE A BAR FEEDER THAT'S A PERFECT FIT No one can meet your bar feeding needs better than LNS. Not only because LNS has the broadest assortment of 12-foot, short loader and six-foot bar feeders for fixed and sliding headstock machines. Or that it can accommodate bar diameters ranging from 1 mm to 120 mm. There's much more to the story, including: We design, build, and stand behind every bar feeder we sell – we know every model inside and out, we stock replacement parts, and local support is just a phone call away. Fastest and easiest changeovers – no tools needed, and many models with patented, automatic, self-adjusting features. Greater safety and support features – Swiss safety connection, patented electronic headstock synchronization and automatic front stabilizers, just to name a few. 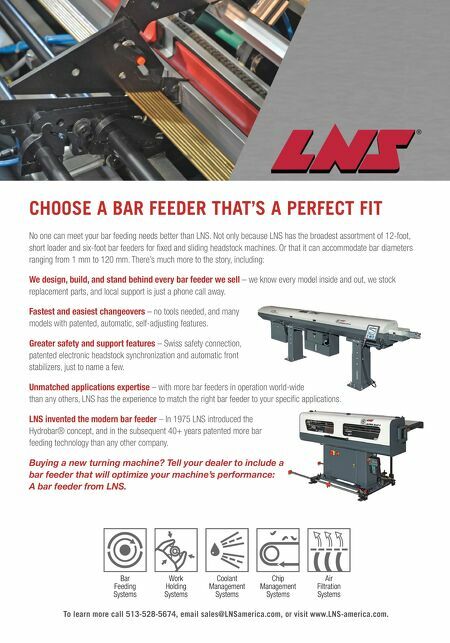 Unmatched applications expertise – with more bar feeders in operation world-wide than any others, LNS has the experience to match the right bar feeder to your specific applications. LNS invented the modern bar feeder – In 1975 LNS introduced the Hydrobar® concept, and in the subsequent 40+ years patented more bar feeding technology than any other company. 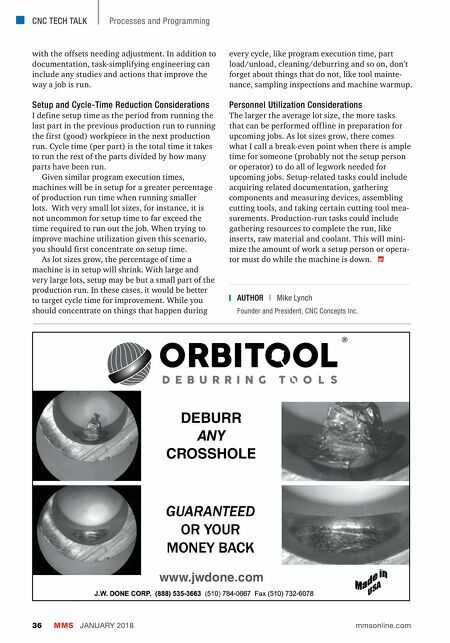 Buying a new turning machine? Tell your dealer to include a bar feeder that will optimize your machine's performance: A bar feeder from LNS.